With her long soft hair, keen eyes, and always-smiling face, five-year-old Kass, a female Border Collie, has special abilities that would make even Lassie jealous, and she is now the first canine to be designated as a rehabilitation dog in Turkey. The new title given to this lucky Border Collie, a canine breed that is considered to be the "Einstein of all dogs," comes with several key responsibilities that include search-and-rescue operations after earthquakes and natural disasters. 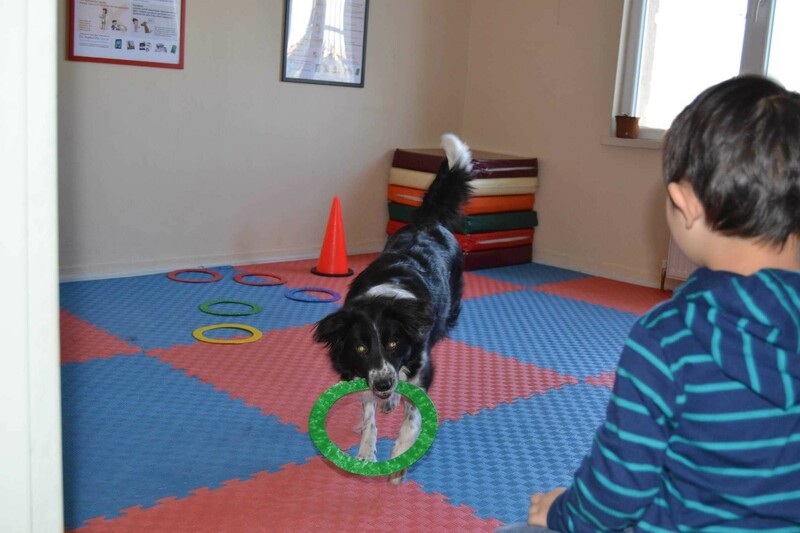 Kass plays Frisbee games that promote wellness and obedience and are designed specifically to train Kass. Despite her young age, Kass has already won numerous awards in several contests, especially in the field of rehabilitation, which allowed her to work directly with special needs children with whom she has worked for more than three years, sharing memorable moments with young children and teaching children with disabilities the importance of nonverbal forms of communication. Canines have long been used by medical professionals to provide assistance to patients with special needs; including legally blind patients, deaf patients and even those with psychological issues. Guide dogs, utility dogs, personal assistance dogs, seeing eye dogs and even canines used for psychological therapy all offer assistance to adults and children with physical and mental disabilities. 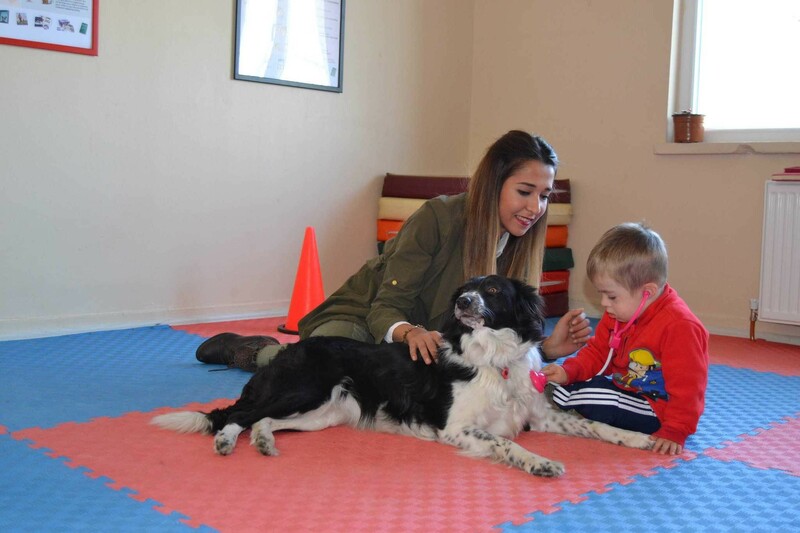 Kass, a modern-day Lassie, has already worked with children who have been diagnosed with Downs Syndrome, autism and cerebral palsy, playing games with special needs children and helping them to overcome fears associated with socialization, communication and even animals. 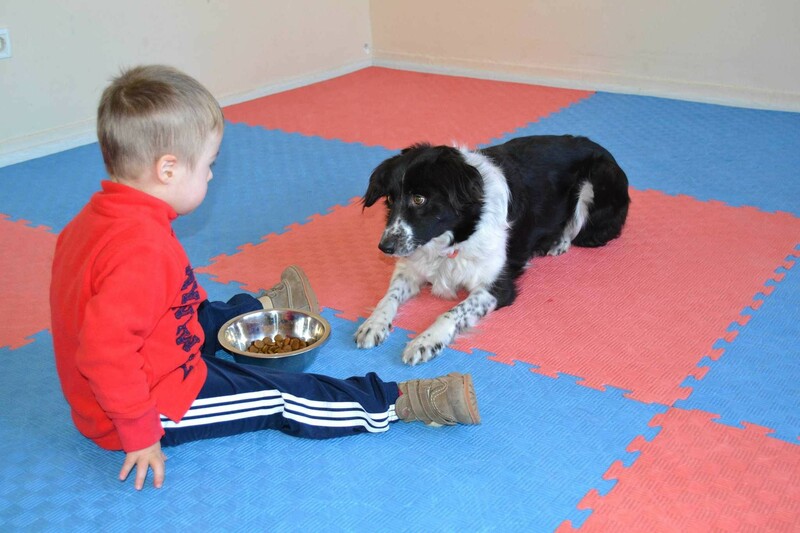 Children have learned how to improve their basic motor skills by working with Kass while Down Syndrome patients have used their hands to comb Kass's long, soft fur and feed the dog with a long spoon that enables them to learn how to hold a spoon and feed themselves. Since December 2013, Kass has worked at a rehabilitation center in Turkey's capital city of Ankara. Of course, Kass is not the only canine to have been recruited for this distinguished task of working with children with special needs. She has a life-long friend and an owner named Serdar Arslan. 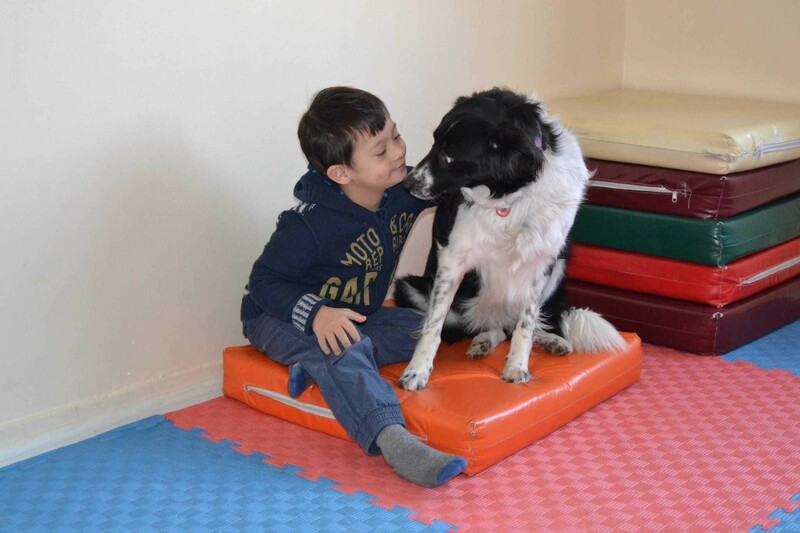 Speaking to Daily Sabah, Arslan said Kass is the first rehabilitation dog in Turkey and the dog has helped many children integrate into communities and helped them be more eager to communicate with others." According to Arslan, disabled children who do not want to eat, for example, are more eager when they see Kass eating. "In the beginning, they [children] completely refuse to communicate with Kass because they are afraid of her. But, this is the reason why we have trained Kass as a rehabilitation dog. She always finds a way to reach out to those children," Arslan said while holding Kass in his arms. 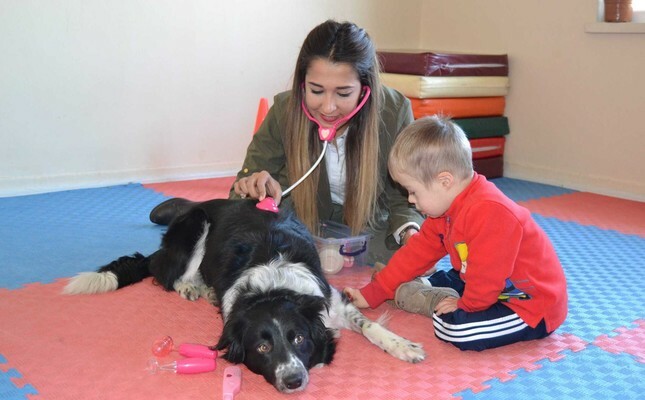 In a statement to Daily Sabah, Tuna Talaş, the head of Private Mavi Barış Rehabilitation Center, said that the center started using this method just three years ago and decided to include Kass in their rehabilitation session schedule when they observed how quickly children with disabilities responded positively after interacting with Kass. "There are some dogs that are used as rehabilitation dogs around the world but in Turkey we have never come across a dog that we can put this much trust in. Kass is a perfect dog, there are dozens of children over the years that have been educated through working with Kass," said Talaş. Adorably, Kass was looking lovingly into Talaş's eyes while she spoke as if she understood she was being praised. Talaş said that Kass is a very effective educator of children with atypical autism, children with extreme communication problems, hyperactivity, attention deficit disorder (ADD), behaviorally disturbed children and those with other behavioral issues. Mental impairment, Down Syndrome and cerebral palsy are also among the disabilities that Kass is most effective in working with," Talaş said. During a session attended by Daily Sabah, a 3-year-old child with Down Syndrome was allowed to feed Kass with a spoon, saying "Come on Kass, come on and eat." He later combed Kass's hair and hugged her, showing tremendous love for the animal. Just seeing how the child smiled at Kass and the connection shared between the two is enough to understand that a dog is not only a life-long loyal friend but also an educator for humanity.